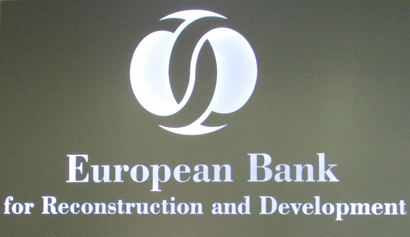 The European Bank for Reconstruction and Development (EBRD) is looking for a Principal Banker in Minsk (Belarus). The Principal Banker will act both as a senior member of a project team or as an operation leader (typically on less complex transactions than an Associate Director, Senior Banker). The Principal Banker, in his/her role as an operation leader, is expected to take responsibility for effective leadership of his/her project team/s, supervision of junior banking staff, while contributing to their coaching and providing mentoring assistance, as required. The Principal Banker’s role also includes elements of business/pipeline development, client management and policy dialogue. The role of the Principal Banker is to contribute, as a senior project team member, to the structuring, implementation and monitoring of complex transactions, and to lead, as an operation leader, the development of less complex debt and equity transactions, and the effective implementation and monitoring of an assigned number of portfolio projects, in line with the Bank’s operational objectives. The Principal Banker supervises, both as senior team member and as operation leader, more junior colleagues to ensure efficient processing of deal flow and portfolio monitoring. The Principal Banker is able to build and maintain relationships with internal and external stakeholders in relation to business development, project execution, implementation and monitoring, policy dialogue, co-financing arrangements and donor funding, as applicable. A substantial degree of independence is given to the Principal Banker, and he/she is expected to ensure effective project team work and progressively take on overall responsibility for increasingly complex transactions. - Work as a senior project team member with more experienced operation leaders on complex transactions, contributing to all aspects of project structuring and execution, including supporting the operation leader with the management of the project team. - Ensure that all transactions within his/her responsibility are completed within the specified time frames to a high standard (including all internal memoranda and Board reports) and in line with the policies, procedures and objectives of the Bank. - As a senior project team member perform all such tasks as may be assigned by the operation leader and provide constructive portfolio monitoring advice, guidance and supervision to more junior members of the project team. - Take responsibility for ensuring timely notification of any critical portfolio issues to the relevant Portfolio Manager and/or Management, ensuring availability of adequate data and information for the Portfolio Manager and/or Management to be able to take timely decisions. - Assist in providing necessary support, in the form of relevant information or documentation or meeting participation, towards efforts to procure grants and technical cooperation funds to complement investment projects or required as part of policy dialogue efforts. - Assist with the critical screening of project proposal flow that is generated through business development efforts, liaising with other colleagues and teams within the Bank to identify sound and executable investments that meet the mandate of the Bank. - Develop productive relationships within the organisation to able to work effectively in a country/sector matrix structure and in a multi-cultural working environment. Bachelor’s degree. Master’s degree preferred or equivalent experience in the areas of expertise. Significant relevant financial industry experience from an investment or commercial bank, private equity firm, asset management firm, or auditing/financial consulting firm operating to international standards. Relevant industry/country (as applicable) experience might be mandatory, including understanding of country/regional/sector dynamics and trends - depending on the specifics of the position. Deadline: 22 March 2016. For more information, please, click here.